Ms. Willie Mae Winn was a long-time supporter of The American Center for Law and Justice. Her generosity made it possible for ACLJ to defend and protect the religious and constitutional freedoms, and our traditional values, that Americans hold so dear. 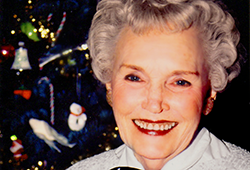 In 1994, Ms. Winn made a substantial gift of $20,000 to ACLJ as part of a charitable gift annuity. The annuity provided Ms. Winn with periodic income for the remainder of her life but also ensured that ACLJ would benefit from the remainder of her gift after her death. "My great-aunt believed in and supported the mission of ACLJ. I have no doubt that if she were still alive; she would find the ACLJ's mission as important today as it ever was."